The Frontier starts at just $18,990 MSRP. See which trim level is right for you, and then find the one you want at Advantage Nissan. Even the affordable base trim comes standard with useful features like a RearView Monitor and a full-length boxed ladder frame. Upgrade to the SV trim and you’ll step into 16-inch alloy wheels and useful cabin features like remote keyless entry. The Desert Runner® takes performance to the next level with Bilstein® shocks, standard V6 power, and Desert Runner cloth trim. The rugged PRO-4X® emphasizes off-road performance with an electronic locking rear differential, skid plates, and the smooth ride provided by Bilstein® shocks. 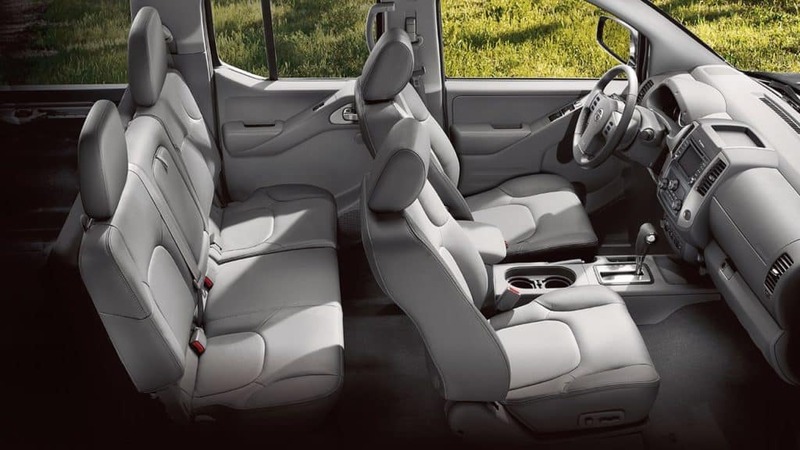 Depending on the trim level you choose, the Nissan Frontier is offered with a 4-cylinder or V6 engine, a 4-passenger King Cab or a 5-passenger Crew Cab setup, and either a 5-foot or 6.1-foot truck bed. This lets you customize the Frontier to meet your needs, whether you’re heading to the jobsite or running errands around town. Of course, you’ll want to see the Frontier in person before you choose. At Advantage Nissan, you’ll find a wide range of Nissan Frontier trims for sale. Work with our finance department to find a loan or lease plan that fits comfortably into your monthly budget, but first compare the Frontier vs. Chevy Colorado, then schedule a test drive at our dealership, located at 5101 Auto Center Boulevard in Bremerton, WA. We’re open every day of the week, and you can contact us directly at 360-373-6300.